Sports Revenue Analytics veteran Troy Kirby interviews the team behind the teams in Front Offices and Athletics Departments throughout the world, revealing an industry of specialists and minds unseen by the local or national media. Examined in this podcast are current or long-standing industry topics; tickets, business, analytics, moneyball, revenue, finance, economy, sales and jobs of the NCAA, NFL, MLB, NBA, and NHL. Also included are topics surrounding third party vendors, sports business, ... Maggiori informazioni revenue, marketing, mentoring interns, facilities, managing employees, as well as how to not only break into sports, but stay in the industry long-term. 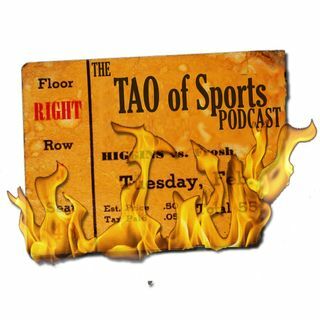 The often-invisible side of the industry is where the Tao of Sports Podcast attempts to pull back the elusive curtain, providing information both to industry insiders and those who want to work in sports.